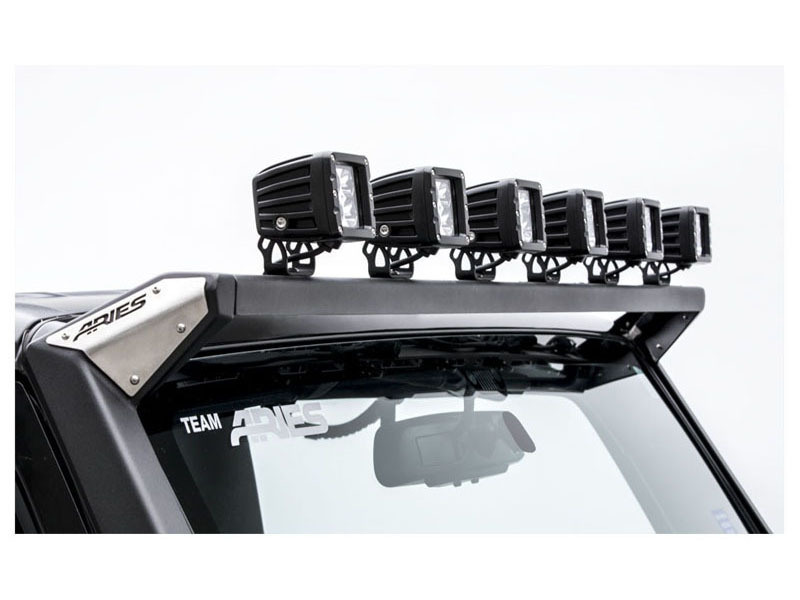 Aries Jeep roof light mounting brackets allow you to mount an LED light bar up to 50 inch long above your windshield, lighting the way on the trail and making your Jeep Wrangler stand out from the pack. 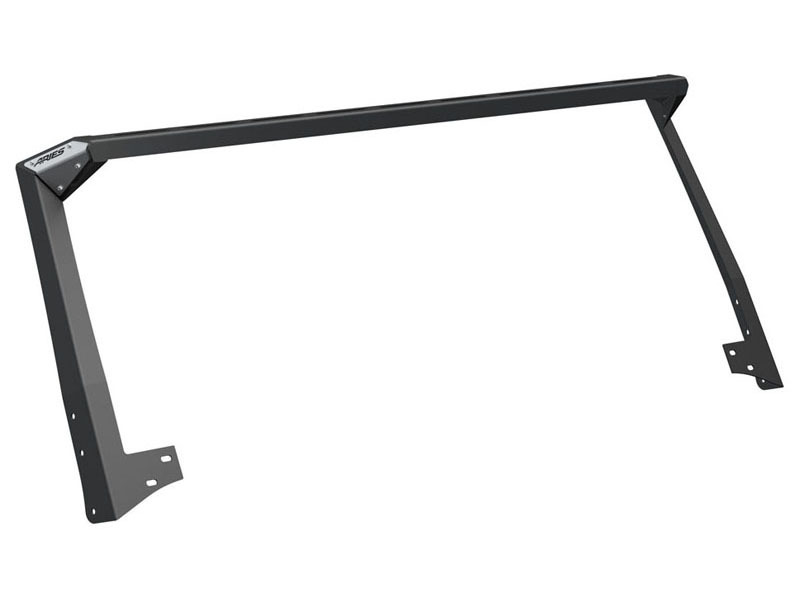 These LED light bar mounting brackets feature stainless steel construction with a durable powder coat finish to provide maximum rust resistance and easily outlast the elements. 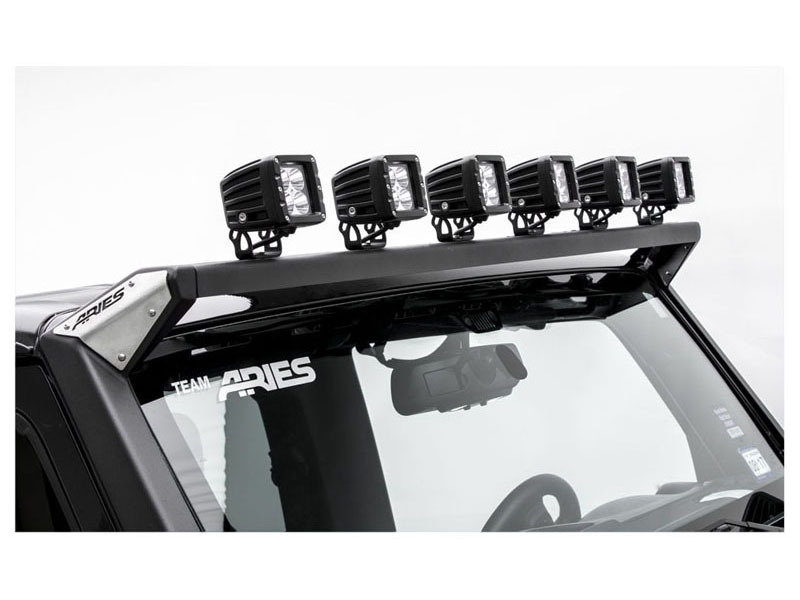 They also feature removable stainless steel cover plates that allow for easier access to the light bar mounting hardware during installation. With the cover plates bolted into place, the light bar hardware is protected and hidden from view for added security and a more integrated look. 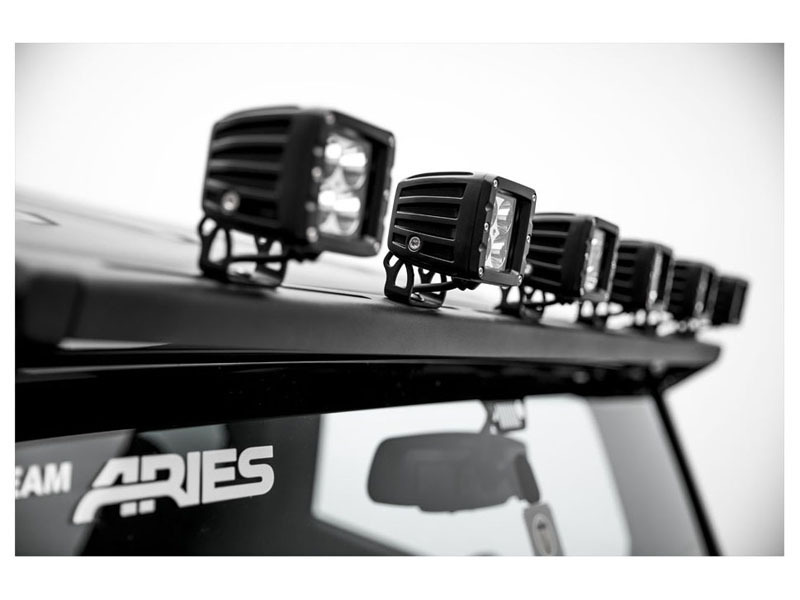 Aries Jeep light brackets are fast and easy to install, using factory mounting points on the Jeep JK to eliminate the need for drilling. 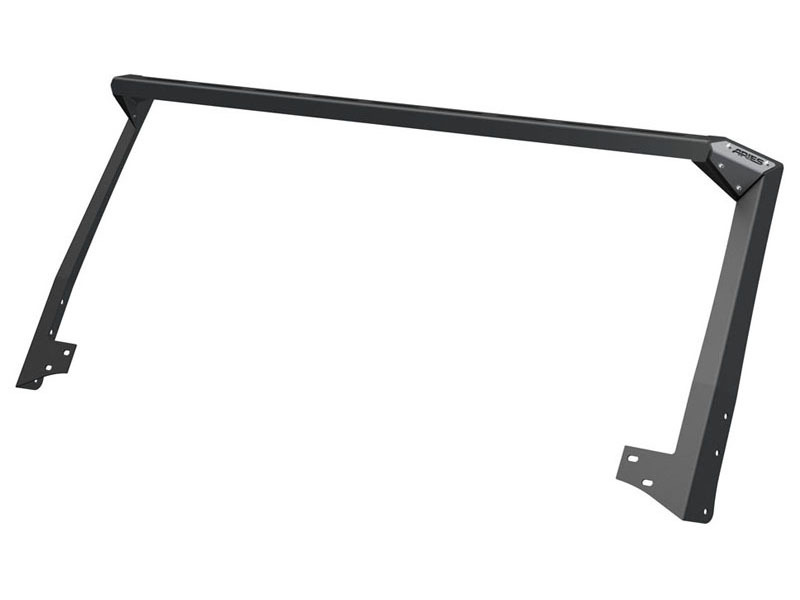 Once installed, the roof light brackets and slotted center crossbar can accept multiple smaller light bars or work lights up to 50 inch in total length. 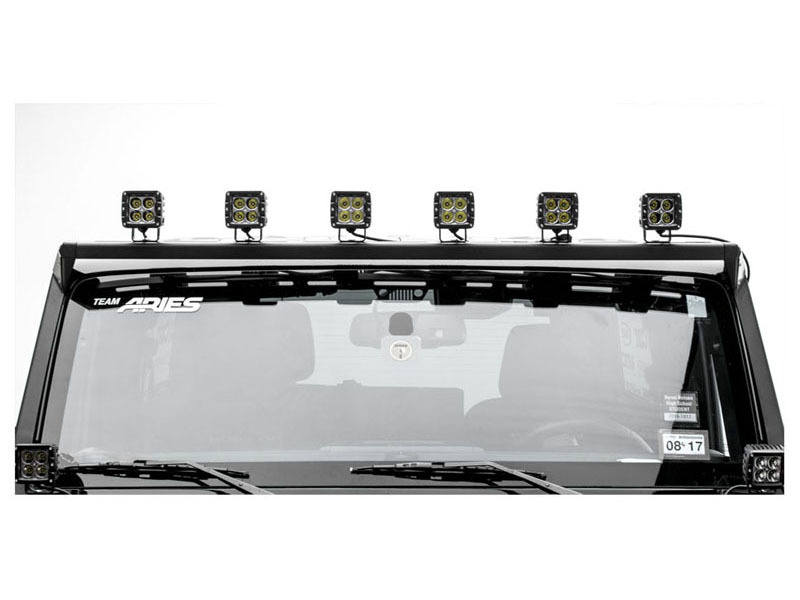 The center crossbar can also be removed to mount a full 50 inch light bar (Aries 50 inch double-row LED light bar #1501278 recommended).